When it comes to spring flowers, the lily reigns supreme. It's easy to see why in this gorgeous bouquet of bright yellow blooms. 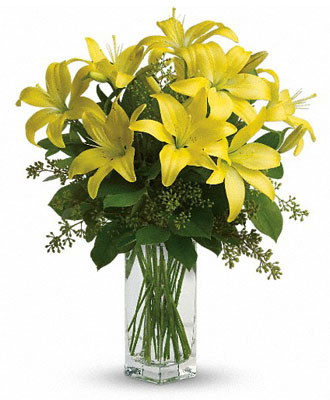 A fabulous bouquet of yellow asiatic lilies, salal and seeded eucalyptus are delivered in a divine bunch vase.